Of course you are connected with All That Is every second of your Earthly life. Although you have very successfully built up an illusion which suggests that you are separated, you know in your heart that this is nothing but an illusion. In truth, you are a spark of the Source and separation is simply not possible – you cannot sever the connection between you and All That Is. Consequently, by asking you to contact us, we do not mean that you shall re-establish the connection with us because you never lost your connection. We simply mean that you shall enhance your conscious alliance with us, and I am here today to help you achieve this if you allow me to do so. There are plenty of ways in which you can improve your contact with us. The following technique is just an example. Use this as your starting point and find your own individual way – let your heart guide you and you will not be disappointed. Find a quiet moment and relax. Stand with your feet firmly on the ground. Imagine a ball of Light emanating from your heart and surrounding you. This is your own protection. Enhance this protection by asking your Guides, the Ascended Masters, Angels or Archangels to protect you and set your intention firmly in connecting only with Beings of Light. Imagine a ball of Light above your crown chakra and pull this ball of Light into your heart. This ball of Light represents the Light of All That Is. Let the ball run through your body down into the heart of Gaia. Imagine how the heart of Gaia expands due to your Light and pull this Light up through your body into your crown chakra. Activate your crown chakra with this Light: Visualize your crown chakra as a plain plate which starts to spin. Imagine how the spinning plate enhances the bright Light that you pulled up from Gaia’s heart in your crown chakra, and pull this bright Light into your heart. Now call a certain contact who you would like to speak to, or simply ask us to come forward to have a chat with you. You can use this technique for all kinds of communication and please be assured that all Light Beings are eager to answer your call. Why not ask Gaia how she is doing? Or just send a hello to your Star family? Why not get in contact with your brothers and sisters from Agartha, or with the realm of the Elves? The possibilities are endless – and feel free to just play like a child. Have fun by exploring your new way of communication, but don’t set your expectations too high – you will need some practice. And by this we mean that you have to practice to trust yourself. Each and every one of you can establish contact with us and All That Is in this manner – you just have to try and to accept the result. Maybe we will ask some of you to spread our words but this is not the primary target of this exercise. What this is all about is that you will have fun by consciously connecting with your family. We will answer each and every call individually and in the way that is best for each of you – just trust the procedure. If you only knew how much we are looking forward to your contact calls! Finally, don’t forget that our contact goes primarily through your heart and not by spotting our spacecrafts in your skies. 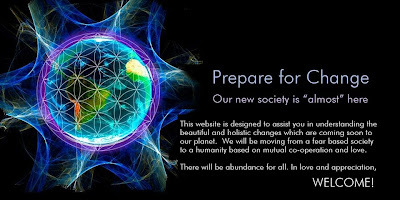 I am Ashtar who provides you with this message because we are eager to strengthen our connection with our deeply-loved family on the surface of Gaia. We are curious to see how many of you will follow our call. Soon we will be reunited, but until then we would love to have a wider and more direct communication with each of you. I’d like to give the galactics a chance to explain why they’re here, where they come from, how they organize themselves, etc., and I’d like to allow them to do so in their own language, without undue interpretation. When I went to consult the various spokespeople, I realized that the writings of SaLuSa of Sirius provided a consistent and easily understandable introduction to their collective work and so I decided to draw only on SaLuSa’s material. Mike Quinsey, SaLuSa’s channel, had a health crisis earlier this year which has obliged him to stop channeling SaLuSa for the moment. But there exists, nonetheless, online a rich and full account of the work of the Galactic Federation of Light, only one of the space coalitions here, and I’d like to offer that account now. This account will span a number of parts, posted over successive days, beginning with SaLuSa’s introduction of himself and the GFL. We bring you love and know that we can lead you onto the path of Light, and in us you will see what can be achieved by following it. For eons of time we have moved in the higher vibrations, and it is exactly the reason we come now to serve you in your hours of need. Looking back it is quite extraordinary that we have been in contact with you for some 70 years, and look where you all are today. You are familiar with our presence, and in general accept that we are your family. I … know that one day some of you will visit our bright star and you will find it teeming with life, and what will strike you immediately is that everything seems new. Because of the higher vibrations wear and decay does not take place, just as in the case of our physical bodies. You are in fact beginning to experience cellular changes, which are also destined to lift them up to that level. The Galactic Federation is comprised of civilisations of ascended Beings carrying the status of Masters. They are spiritually evolved and their energy is of Love and Light, with the intent of spreading it far and wide. (3) Sept. 16, 2009. That group included Ker-on of Venus, Atmos of Sirius, Diane of Sirius, Ela of Arcturus, and Ag-Agria of Sirius.